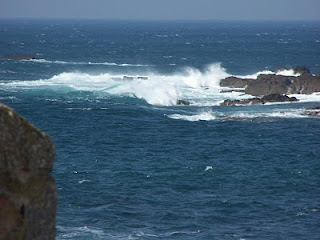 Yesterday afternoon, I drove to Sennen Cove and walked over the cliffs to Land's End. It was a lovely walk although very windy. There were still quite a lot of tourists around. Played Grandmother's Footsteps with a Wheatear, trying to get a photograph. We ended up with a draw - I got the photo but the bird was still quite far away! 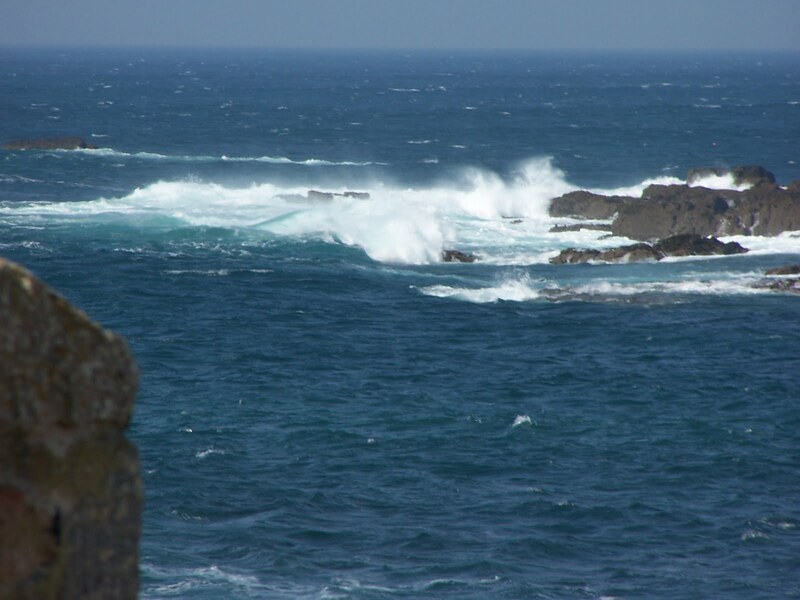 Enjoyed the walk very much and ended back in Sennen Cove watching the waves break over the rocks.